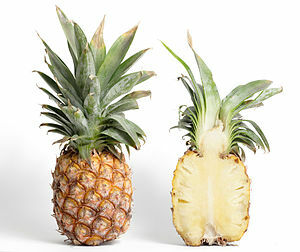 I picked up a couple of pineapples they had on sale at the market today. I also had some fresh organic produce that I got from the Farmer’s Market we have down the street. I wanted to try a new recipe using a few more ingredients. I had just worked out at the gym; I was not real hungry, but wanted a pic-me-up. This is what I came up with and it was so tasty and refreshing I thought I would share it here. Of course wash all your produce well. You can use a vegetable brush if you want. Add fruits and veggies to your vegetable juicer, alternating the softer ones with the harder ones. Okay, so you’ve decide to change your eating habits and add juicing to your diet. So what are some things you should know to help you started? 1: Not all fruits are the same. Fruits will give your juice the tangy, sweet flavors that most vegetables lack but you should be aware of citrus fruits and melon. Not all juicers will work well with citrus fruits so you may want to purchase a separate citrus juicer for those. They are usually inexpensive and easy to use. Also, melon tends not to mix well with other fruit juices. Other fruits can easily be juiced together in any combination you like! Not all fruits will work well with a heavy vegetable juice. If you are juicing with a nice blend of veggies you should use apple to sweeten and save your other fruits for a nice fruity blend. You don’t have to stuff five different vegetables and a few fruits into a single juice blend to get maximum benefits from juicing. Just pick 2-3 vegetables and perhaps toss in some apple for sweetness into anyone of the Green Star Juicers and you will have delicious and nutritious juice. 4: Drinking your juice prior to a meal is best. 5: There are more fruits and vegetables out there than you know of. 6: Don’t juice up the same thing every day. 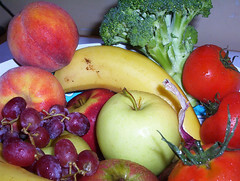 7: Some fruits and vegetables do not turn into juice. 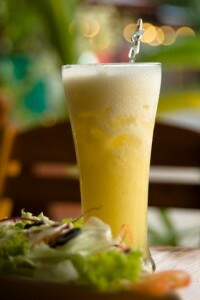 The consistency of different fruits and vegetables varies and some will turn into a puree rather than a juice. For instance, adding banana into a fruit smoothie gives it a thicker, creamier consistency. Fruits and vegetables with this consistency should be blended in a Blendtec Blender rather than juiced. 8: Leafy greens will work best if you squish them together prior to juicing. Rather than just tossing a handful of spinach leaves into the juicer, ball them up together so they are more like a well formed piece of fruit. The vegetable juicer will work best with them this way. 9: Coffee filters eliminate pulp. 10: Lemon juice eliminates color changes in fresh juice. Juicing involves extracting nutrients from fruits and vegetables. One of the best tools to harvest these wonderful nutrients is a stainless steel juicer. A stainless steel juicer allows you to make a healthy drink which can be easily assimilated by the body. Furthermore, stainless steel juicers won’t stain and are easy to clean; they make any kitchen look gorgeous, and are perfect for those who suffer from multiple chemical sensitivities. In today’s busy world, it is imperative to keep ourselves healthy. With Our hectic schedules it is even more important to make wise food choices. Of course, we can survive on microwave food and energy bars, but we find ourselves tired and rundown too often. We can all use a healthier lifestyle and a large intake of fruits and vegetables can make up for the lack of nutrients we suffer from our on-the-run diets. And the best way we can these nutrients is through healthy juicing. Start your day with a fresh glass of juice made in your stainless steel juicer. Vegetable juicers are simply juicers that turn fresh vegetables and fruits into fresh and delicious tasting juice that have more vitamins and minerals than that juice you buy in the store with none of the additives or preservatives. 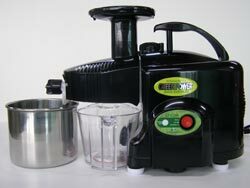 These juicers come in a variety of types and styles including centrifugal, masticating or single gear, and twin gear. While all these juicers make fresh juice the twin gear and masticating juicers give you more juice for the amount of fruit you use which overtime can save you a good deal of money especially if you are buying rather than growing your produce. In addition, these types of vegetable juicers do a better job with leafy vegetables such as spinach, kale, and even wheat grass. Some can even be used to make fruit smoothies and homemade natural baby food. However, these juicers also tend to be a bit more expensive though they are worth the additional money, because they deliver better tasting juice that stays fresh longer. However, each person has one type of juicer they prefer and the important thing is choosing the one that you like the best and will use to the most often.